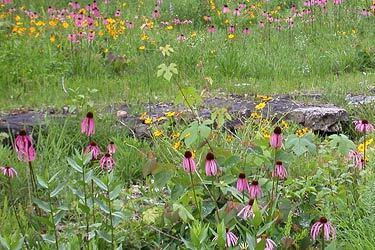 This course will focus on identification, relationships, and habitats of wildflowers and native grasses of the season. Beginners as well as serious students will increase their knowledge and appreciation. Come ready for moderate hiking with notebook in hand! Designed for adults only. Registration ends April 23 at 8 a.m. Please wear walking shoes and bring a notebook. Class- Meet at the Visitor Center at the Shaw Nature Reserve. Come prepared for a 1-mile walk.